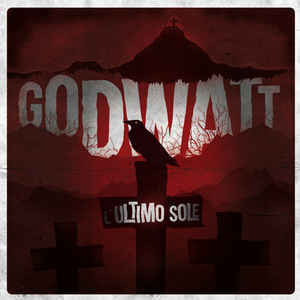 GodWatt Redemption begin their activity in June 2006, when three friends, deeply moved by low tune and sulphureus notes, decide to “set up” a heavy rock-stoner/doom band. Categories: DISTRIBUTION, DISTRO STORE, VINYL-Distribution, VINYL-RECORDS. Tags: Doom Metal, Jolly Roger Records, Stoner Rock. The proposal came from the guitarist-singer Moris Fosco, pushed by the monolithic bass player Mauro Passeri. After having tested quite a lot of musicians, they decided that it was better to carry on as a “trio” and recruited Andrea ‘Junkie’ Vozza on drums. From this moment on the band began its activity with intense jam sessions and after several months of exhausting rehearsals, they recorded a four-track demo-cd. Then the band started its heavy live activity pressing down numerous stages of Italy, they took part also at many important festival in their own country. After the releases of a Demo Cd (2007), 2 self-produced albums (“The Hard Ride of Mr. Slumber” in 2008 and “The Rough Sessions” in 2012), they decided to carry on the project changing their name in GODWATT and also the lyrics from english to italian, tryin’ to trace a personal “path” in the stoner/doom musical scene. From the new “birth” were self-released “Senza Redenzione” in 2013, followed by “MMXVXMM” (January 2015) a “comeback” to the original sound and style of the band, darker and heavier then the previous releases. Both albums were well acclaimed from critics and people and caught the attention of Jolly Roger Records.